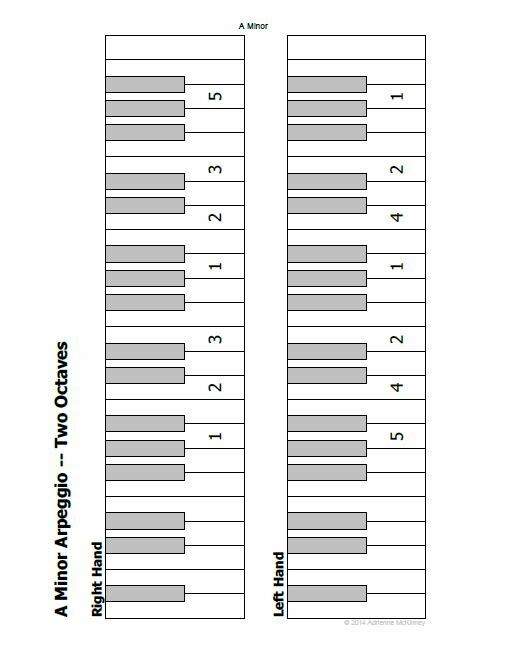 These are forms and guides developed over the course of over 14 years, intended to assist students and teachers in preparing for the annual American College of Music National Piano Playing Auditions, also known as "Guild Auditions," in May or June of each year. The purpose of Guild is to promote piano study among students of all ages and abilities. 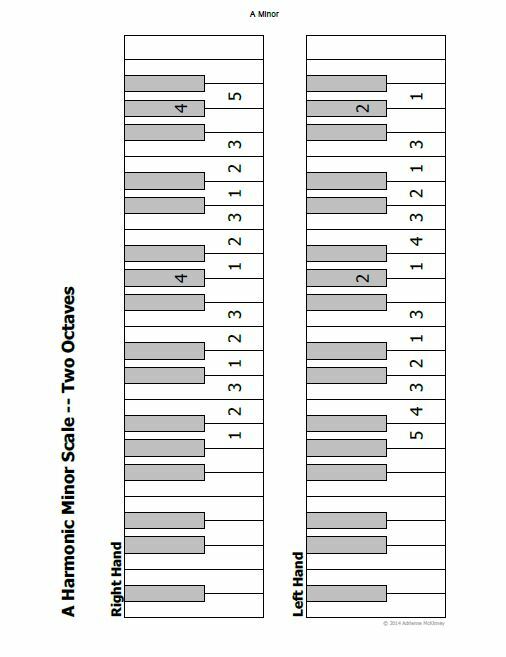 I encourage my students to maintain a piano repertoire of between 7 and 10 pieces (though they may start out with only a few short pieces). LEXINGTON, KY TEACHERS: Contact me here for information about our Lexington, Kentucky Guild auditions. The dates for this year are May 11th-13th (Thurs-Sat). The deadline to enroll your students is 21 days prior to the audition date: April 20, 2017. I will help you with any questions you have regarding the auditions and how to enroll. Based on the Ear-Training musicianship phase requirements listed in the Guild Syllabus. 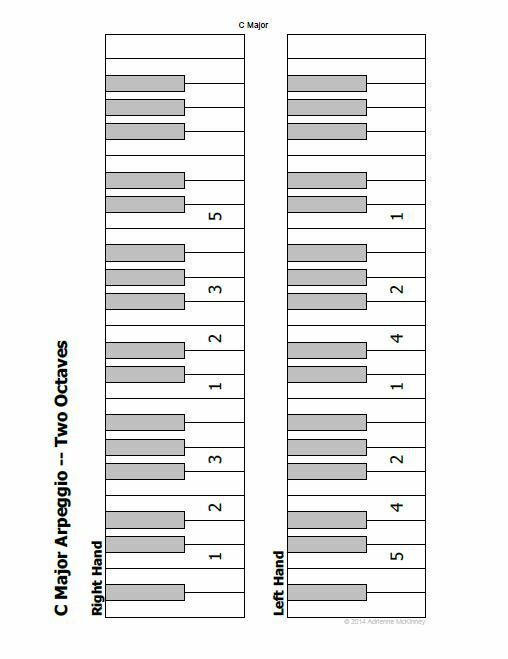 These charts provide students with a simple, visual way of learning conventional scale and arpeggio fingerings. I've used a gray-scale color for the black keys in order to save ink. 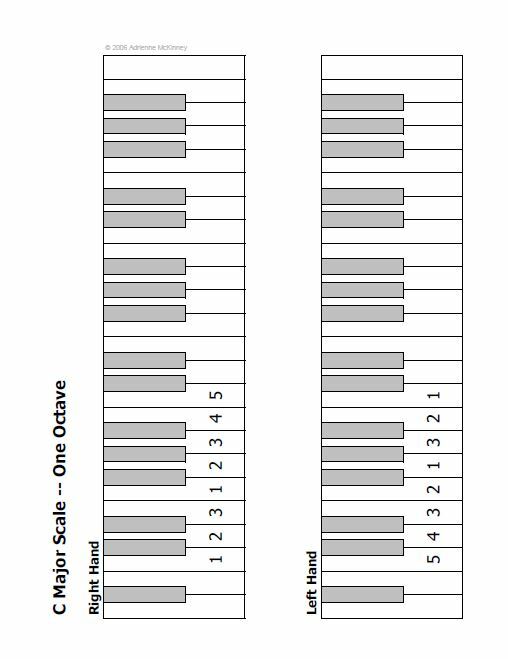 Blank charts are also available on the printable resources page. Look for them in my Box files. Click on an image below to open the PDF in a new window. 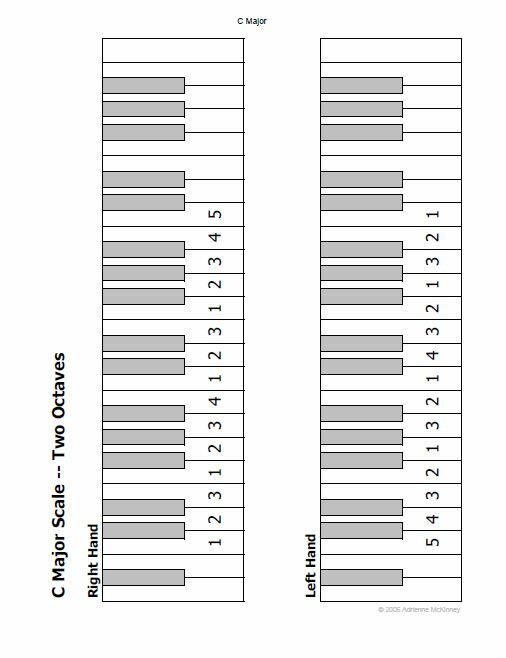 You may download and print these for personal/piano studio use, but please do not distribute them otherwise. 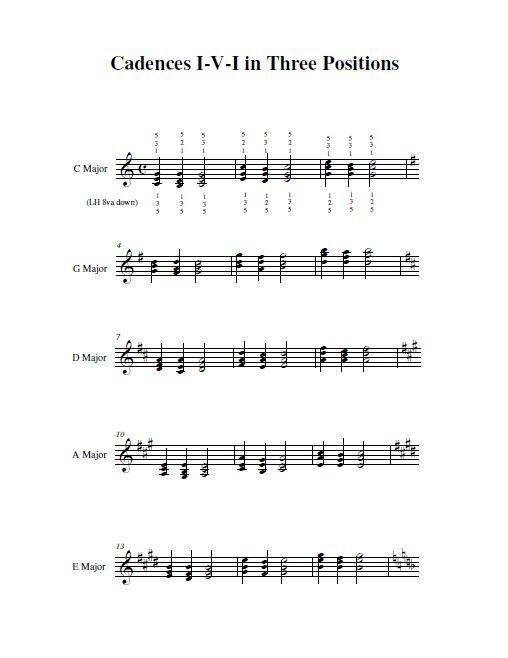 These are I-V-I cadences in three positions for major keys commonly used in repertoire for the Elementary classifications. 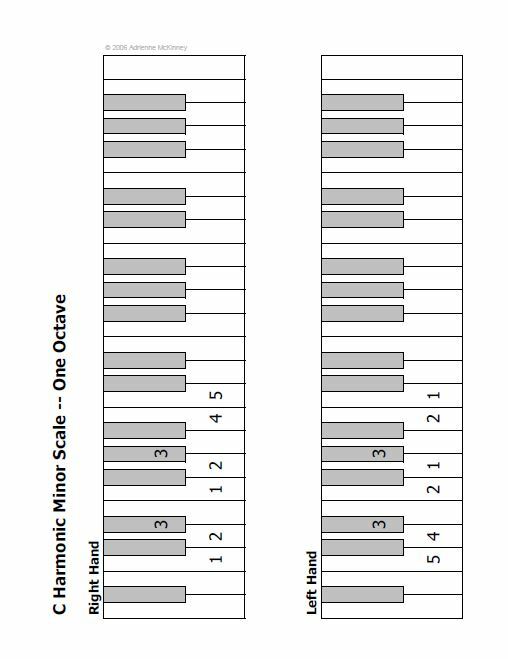 Note that the first few Guild classifications require only the root position cadence. These are the full three-position cadences on the staff. If you cannot view the notation in the files because you don't have the Maestro font installed in you rcomputer, please click HERE to download the Maestro font. The file is a .zip file and will download automatically to your default downloads folder. Unzip the files into your WIndows/Fonts folder.